Backstage Pass members have exclusive access to the video of this episode! You can save 10% on any paid Backstage Pass membership by using the coupon code "Podcast10" at Members.SchoolhouseRocked.com. Please take a minute to leave a review for the Schoolhouse Rocked Podcast on iTunes and tell your friends! Michael P. Donnelly, Esq. is an HSLDA Senior Counsel and Director of Global Outreach. He serves as HSLDA’s staff attorney for the states of Colorado, Massachusetts, Michigan, Minnesota, New Hampshire, Ohio, and West Virginia and, as Director of Global Outreach, coordinates HSLDA’s support of homeschooling freedom around the world. He is also an adjunct professor of government at Patrick Henry College, where he teaches constitutional law. In this interview Yvette Hampton and Mike Donnelly discuss some important topics for homeschoolers. • What is HSLDA? Mike gives a brief history of HSLDA and homeschooling law. • What services does HSLDA offer you offer and why should people be members? 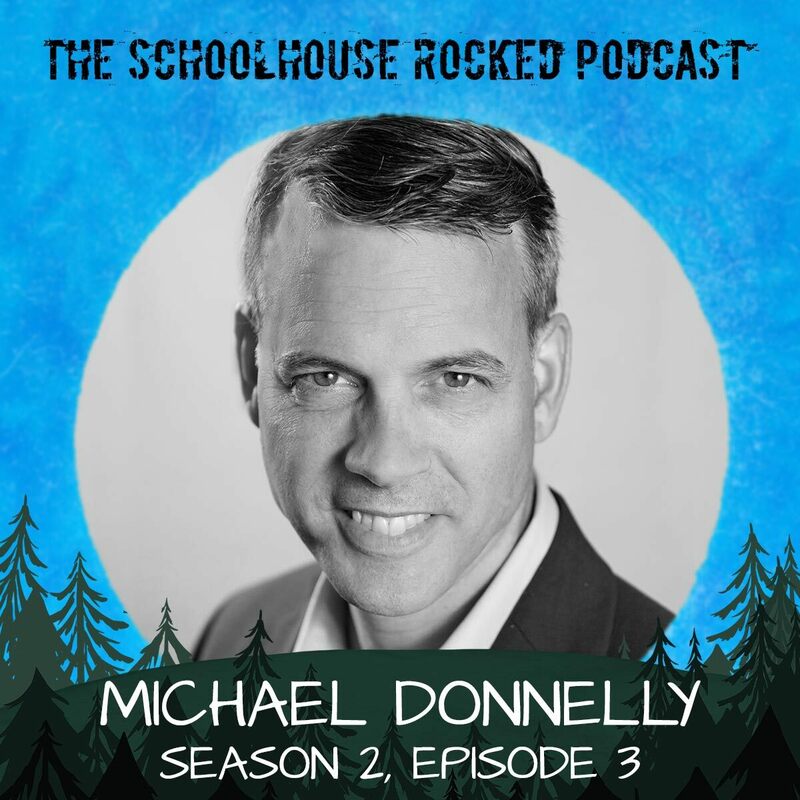 • Mike shares how HSLDA has helped homeschool families. • How is homeschooling growing across the world? • What are future plans for HSLDA? Home School Legal Defense Association is a nonprofit advocacy organization established to defend and advance the constitutional right of parents to direct the upbringing and education of their children and to protect family freedoms. They provide homeschooling-related legal advice and representation more than 80,000 member families, promote homeschool-friendly legislation at the state and federal levels, and offer information and resources to encourage and support all homeschoolers. Through the years, HSLDA’s primary goal has remained the same—to bring together a large number of homeschooling families so that each can have a low-cost method of obtaining quality legal defense. Visit HSLDA.org/jointoday to learn why you should become a member.